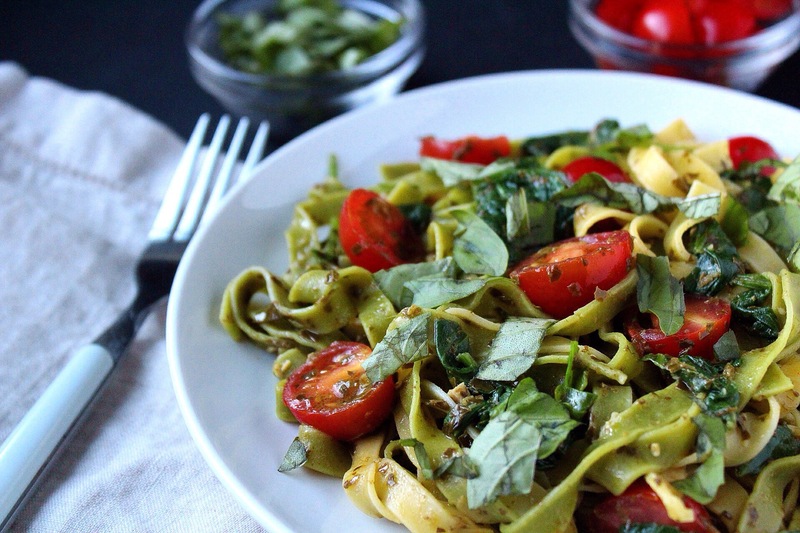 Monday – Fettuccine with kale, spinach, and cherry tomatoes. A perfect weeknight meal! Tuesday – BBQ ribs with homemade sage and cheddar mac and cheese. 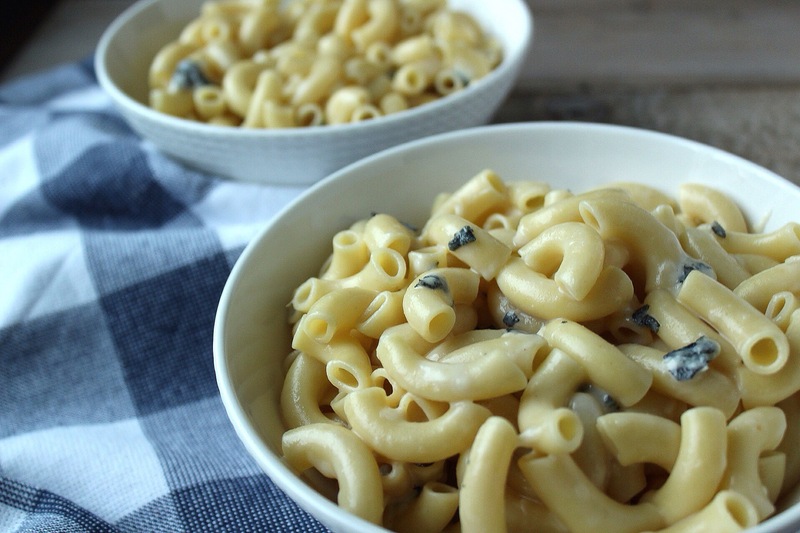 The mac and cheese tastes the same reheated, so you can prep it in advance! To cook the ribs place BBQ sauce on both sides. Wrap in tin foil and place on baking sheet. Bake at 350 degrees for two hours. Remove from oven add more BBQ sauce and grill 3 minutes/side. 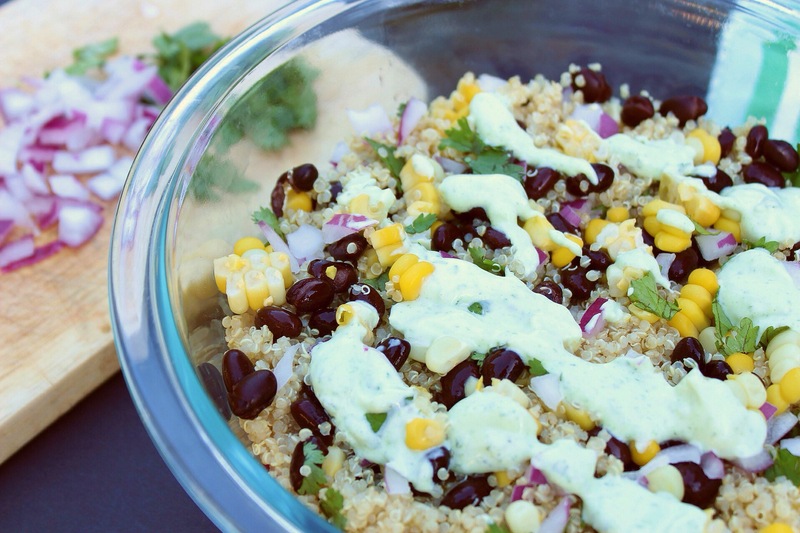 Wednesday – Southwest quinoa salad. Make the quinoa ahead, for easier meal prep. 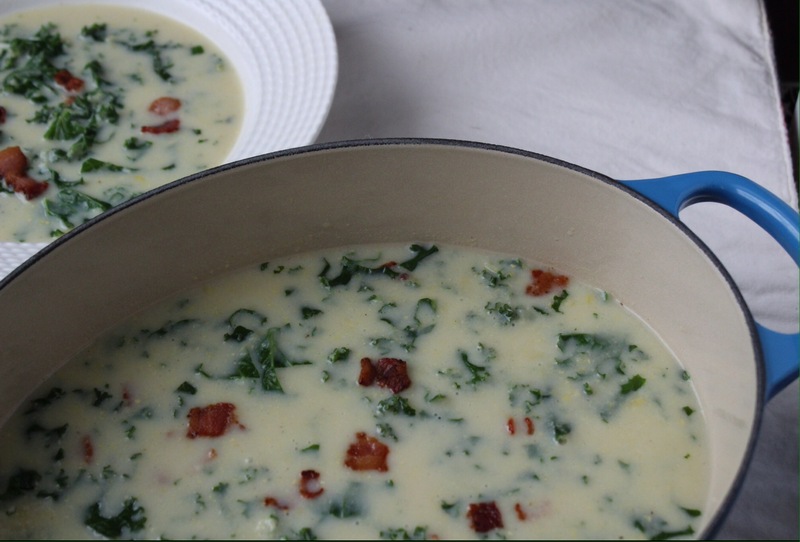 Thursday – Corn chowder with kale and bacon! I know it’s summer but who cares this soup is so tasty! 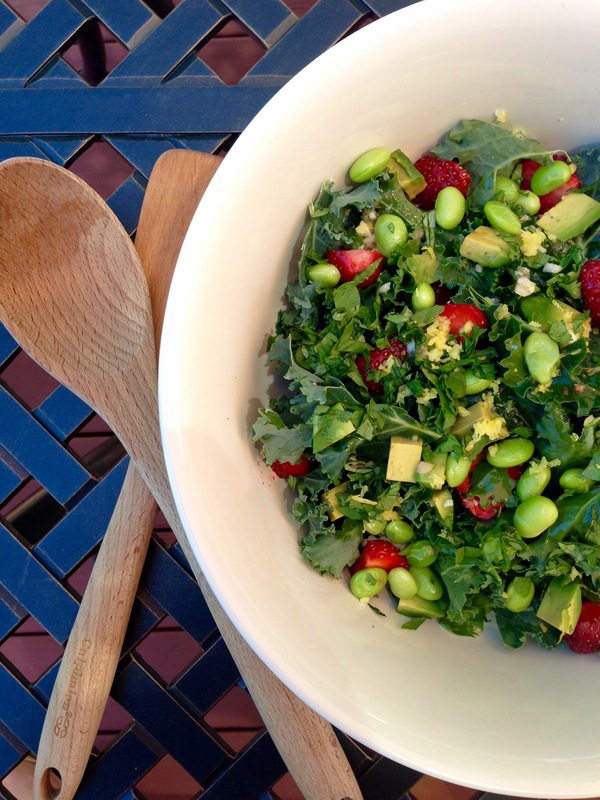 Friday – Kale salad with strawberries and edamame.